According to the United States Department of Energy, two-thirds of all homes in the United States have air conditioning, and air conditioners consume 6 percent of all electricity produced in the country. 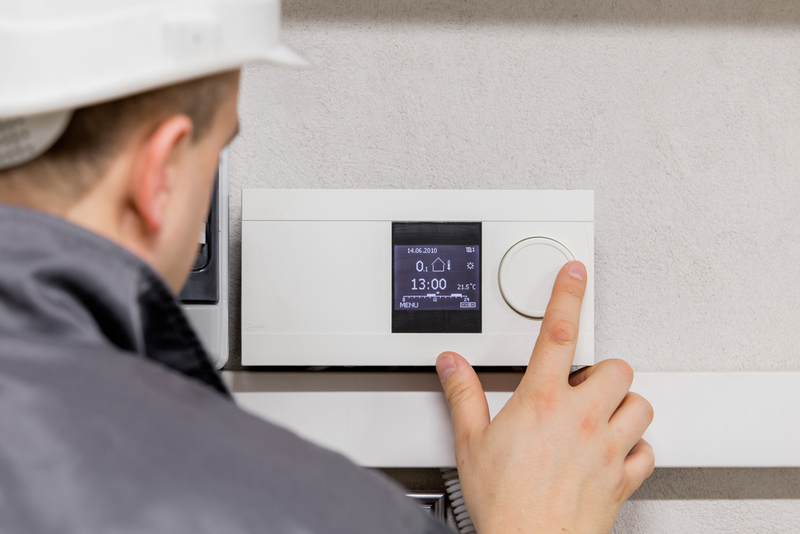 Energy costs rise every year, and with heating and air conditioning using a significant portion of your home’s energy bill every month, it makes sense to do all that you can to make your air conditioner is using energy efficiently. An air conditioning company will help ensure the state of your air conditioner and heater are not driving up your electricity costs. While you can do routine checks yourself, a professional service company can perform HVAC repair and give you expert maintenance tips for maximum efficiency. Make sure you choose a company with a license. A business can only gain a license if they are both qualified and competent to conduct HVAC maintenance and repair work. A bonded air conditioning company means that they have a secured financial cover from a third party if you file a claim against them. An insured company covers the injuries of their workers, which means the workers cannot file a claim against your insurance if they get injured doing their job in your home. A detailed written estimate is your protection against companies that will bill you for any work that they did not do. It lets the company know that you keep a close eye on things. While it does not contain a firm quotation, it gives you an idea as to how much the project will cost. A contractor should produce a detailed estimate after conducting a thorough inspection of your system. It should include an itemized report of everything that needs to be addressed. Any additional work not included in the detailed written estimate must be discussed with you first. Detailed estimates should always be in writing. Never accept a verbal estimate alone. Most HVAC service and repair companies will depend on the manufacturer’s warranty for equipment. The difference lies in the quality of work, which will vary from one repair company to the next. What you need is a guarantee to protect yourself from paying more in case something goes wrong. An outstanding air conditioning company will over a satisfaction guarantee where if you don’t like how your air conditioning system works after their service or if you did not like their staff, they offer to buy back the system and installations for the original price and uninstall the equipment. They will also help you find another company to install your new equipment. The air conditioning repair and maintenance company should be able to supply you with references as well as reviews for their reliability, quality of work, and time it took to complete the job. A reputable company should have a working website where you can check out customer reviews. If not, you can ask for the contact details of their previous customers, and they should willingly provide this information. Depending on your state laws, air conditioning technicians should have a license to perform the kind of work they do. Being licensed and certified means that the specialist went through a test for skills and is proficient in the installation and maintenance and repair of air conditioners. An excellent professional air conditioning company will not only install, maintain, and repair, they will also teach you how to reduce your monthly energy costs. Their knowledge in air conditioning efficiency gives them inside knowledge of the ways to keep an HVAC system operating at peak performance to cut energy costs and not drive them up. An air conditioning service company that has been in business for at least ten years will give you an indication of their proficiency. Being operational after a decade means they have earned client loyalty and have racked up referrals due to reliability, efficient work, and trustworthiness. Air conditioning installation, maintenance, and repair is a highly specialized market, word-of-mouth travels fast, and any unreliable company with shoddy workmanship will not last long in the industry. By asking the right questions before hiring an air conditioning service company, you will not only save time and money but also avoid unnecessary headaches. You hire professionals so that you don’t have to stress over your air conditioners yourself. Their expertise is the reason for hiring them so you shouldn’t expect anything less.